Killer Characters: No! I don't want a cracker! But what about a GIVEAWAY? No! I don't want a cracker! But what about a GIVEAWAY? "Kiwi want a cracker?" Shm...if I hear that one more time, I might take my big talon and poke someone's eye out. I want exactly what is on the menu of all the other heart beating creatures in this motel. Day in and day guest of The Inn are welcomed with big warm, out of the oven cookies and a glass of whatever that is, while I have to sit in this huge cage in the middle of the entrance watching them. I've got some pretty cool digs. And I love the fact the guests of the Inn can come in and run a fingertip down my gorgeous feathers. But then. . . . Humans! Are you kidding me??? There's an open container right here in my cage, if I wanted a cracker, don't you think I just get one? No. 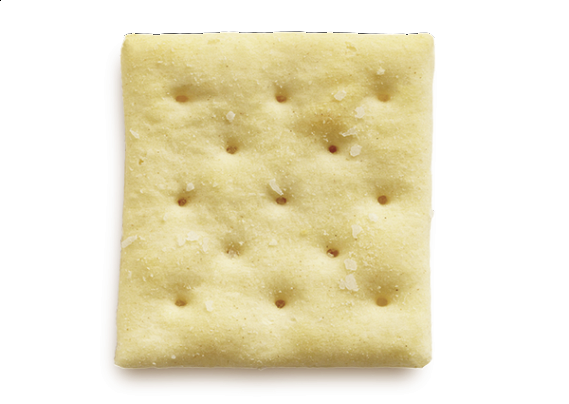 I don't want a cracker. Oh no. . . here comes someone who's very nosy and loves to gossip from our small town of Cottonwood, Kentucky. That's what I do all day long. I sit here in this cage and listen to small town gossip. It's a bit entertaining at times because I'll hear on thing and by the end of the day, that one thing has been spun around so many tongues, it's not at all the truth. Sometimes I like to repeat the gossip just to stir the pot. So I just sit here and entertain them. Sometimes they ask me to show my pretty wings or repeat them. They think it's fun and get me to repeat them. They beg and plead. . .Hold on. That big gossip just came in the door said something that might be important. What did you say? Hey! Come back here! What did you say? Huh. They didn't pay any attention to my questions. I even spread my wings to get their attention. I swear they said, "I came from Beryle's and couldn't find the book. Couldn't find the book. Glad she's dead. Glad she's dead." Did they mean Berlye Stone? The famous author from Cottonwood? She's. . .dead? Have you ever tried to get a bird to talk to you? Leave a comment and be entered to win a print/signed copy of SOUTHERN FRIED, the second book in the series, along with an IT'S A SOUTHERN MYSTERY Y'ALL measuring spoon and SOUTHERN MYSTERY tote. 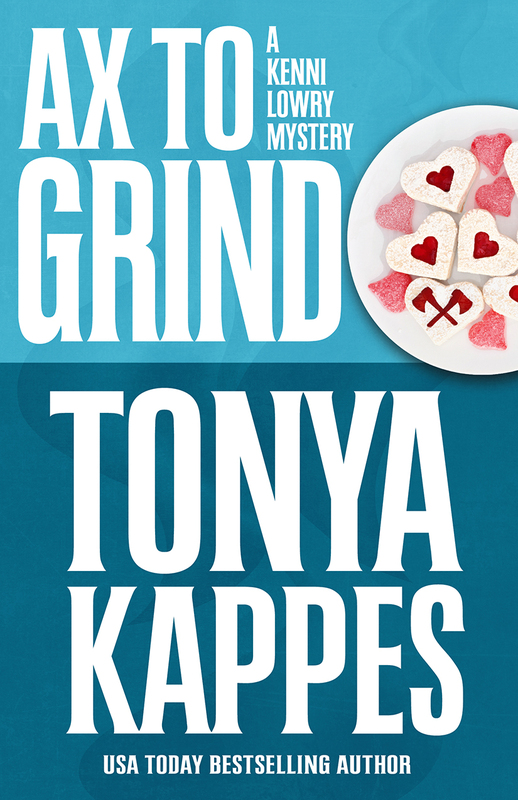 Don't forget to preorder your copy of AX TO GRIND and see exactly how Kiwi helps Sheriff Kenni Lowry solve the murder of Beryle Sone. Have you caught up on the Kenni Lowry Mystery Series? 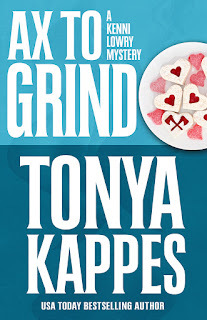 Meet Kiwi in, AX TO GRIND, available everywhere on September 19th! Don't miss out the current BACK TO SCHOOL GIVEAWAY on my website under the FRONT PORCH SITTIN' TAB click here!! Really? A crow! That's so cool. I had a parakeet that I tried to get to talk but he never learnt. Ah! At least you tried. I love this series! And Kiwi's post is a hoot! I've had many species as pets, but I have never head a bird. That being said I talk to all the wild birds I see, especially the crows and ravens (not sure which type I see). Sometimes I get a "caw" in reply. Generally not. I find myself cawing back at our feathered friends when I'm working outside. No, I have never tried to get a bird to talk or even owned a bird. I've never had a bird, but I use to do therapy at a child's home who had one and loved to sing along with me. A bird is one pet we've never had. I do remember vaguely some one we visited when I was small having one an it talking a lot. I always felt bad for birds. I wanted them to be able to fly. I've never been in a household with a bird. I did enter a pet store with a talking bird. All I could hear was the bird yelling, 'SHUT-UP'. Over and over. I had a female cockatiel who only tweeted. Though I do have friends that have a Parrott who sings "Lord I Lift Your Name On High". No. I never had the patients. My mom and brother did and got their birds to talk. Yes, I actually have tried to get a bird to talk to me. Stayed at a hotel once where there were lots of parrots. Look forward to reading this series! mcastor07(at)gmail(dot)com. never tried. I'm sort of intimidated/scared of birds that talk. It's very cool, but I leave it to others. no I have never tried..the book looks good ..thanks for chance. I'm kind of scared of birds so I've never tried to get one to talk. We never had a bird because my Mom was scared of them, so I don't have much experience with them. Would really love to read more about Kiwi and start this series. I haven't tried. I have friends who have birds and they look fun. I love them in books. But in my home? I watch Alfred Hitchcock's The Birds every year in October. Any thoughts I might have been having about owning birds, flies away. I'll just enjoy them in story form, thank you. Cristinaalaska(@)gmail(dot)com. Yes, I've tried to get several different birds to talk, with various levels of success. I visited a friend once who had an African Grey who could imitate her ex-husband's voice to perfection. I thought I was alone in the house (with the bird), and was enjoying a leisurely shower when I heard a man's voice in the bathroom with me. I almost had a heart attach before I realized it was the bird atop the shower rod talking to me. This same bird also imitated the microwave, telephone (both the button tones and ring), and water flowing in the faucets. It was quite freaky. I've never tired to get a bird to talk to me. In fact, I don't think I've ever been around any birds. I found a cockatiel in my yard, clipped wings and all. I posted flyers and called the Humane Society, where I was informed that harboring a fugitive bird is against the law... I hung up quickly. I had Roamin' for about 8 yrs before my NOT husband's dog got him... I was home only 2 days from giving birth to my son when he was killed. Do you think I flew off the handle? Yup and I cried A LOT. He was sweet. He didn't talk in human, but he had a lot to say in bird. I miss him dearly. We had a bird named Jennibell. It was actually given to us from a good friend who could not care for it any longer. Prior to us taking her, she would lay an egg each day but unfortunately that stopped once her home changed. She was a cockatiel which apparently can talk but ours did not, or would not. She did love my dad though! We would let her out and she would sit on my dad's shoulder and preen him. I believe that is the word? So funny! I remember one particular budgie growing up. Every time my Mother would walk past his cage she would say "Who's a pretty boy?" Before long if you went near him he would say "Who's a pretty boy?" He was a pretty boy too. Apparently if you get the birds young they can learn to talk. I've never had a pet birdie & I haven't tried to get a bird to talk... but there's still time too! Someday I am going to get a Parrot...My Dad's Grandmother had two and they had conversations with each other. They also learned every cuss word in the book...picked up from who knows where! **Ahem...they are buried in their own little caskets on top of her grave. Yes, we had parrots growing up and I always tried to get them to talk. I don't recall if it happened or not but it was fun to try. i've had a few birds talk to me but I don't try. We have had several birds in our family that we have taught to be bilingual. We speak English and Spanish, and so did the birds. The best way to teach is at night and in the dark. Cover the cage, and speak your phrase slowly, over and over, next to the cage. My uncle had a beautiful parrot that would only use very colorful language. It was awful. He finally found it another home. No, I've never tried to get a bird to talk. I'm kinda nervous around birds. My first babysitting job, the little girl would let her bird loose in the house and lock herself in her bedroom. That bird would dive at your head and it just freaked me out. I've had birds for 40 years. I had parakeets before I joined the Army, a violet hen named Nyusta & an aqua hen named Queenie. I trained them to do tricks on command & my boyfriend at the time built a "parrot stand" for them for riding in his car. When I joined the Army, I gave him my birds. Even though he broke up with me for joining the Army, I knew he loved the birds. Most of my birds have been members of the parrot family. My last bird, Xanadu, was a peach-faced African Lovebird. She recognized the sound of my car & would start chirping before I pulled into the drive. I talked to her ALL the time. She talked back, but in her own language--just like the rest of my critters. She lived to be 16, so 2 years beyond the life-expectancy of her species, but I'm not ready for another bird yet. My next one will be a large parrot, a rescue. My stepsister had three birds and they all talked. When I would come over I would beg them to talk with no luck. It was funny one of the birds would make a phone ringing and the second bird would answer the phone it was awesome. Thanks for the chance. I kept my friend's bird for a few months while she relocated. It would talk to me. I loved it. If I ever have a chance to get one I would. It was nice to hear him say good morning every morning. I have. My sis had a cockatiel that talked. And we were able to get a parrot at Gatorland in FLA. So much fun! Never really have. Every time we go th a zoo my husband will try to talk to the hyancth macaw. I'm always talking to the crows that come to our feeders---and I swear that they sometimes try to talk back. Back in the 1960's, our Dad worked at a liquor store that had a resident parrot, Hortense. He would greet customers with a Hello!! Also said "pretty bird". Still have a framed pic of Dad with that pretty bird! I tried to get my cousin's parakeet to talk to me. 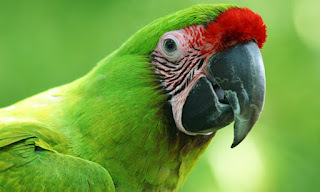 My family always had some type of bird in our house from canaries to parakeets, to an double-headed yellow Amazon parrot. Our last bird was a parrot also who had an ornery side to him. The only one he would let touch him was me. It is my hope to have one in my life again. I've never tried to get a bird to talk to me. I honestly do not like birds for pets but am fine with other people having them. I have two cats and I don't think they would try to talk to the bird, they might try to do something else to it.